The Archive of the British Motor Industry Heritage Trust is home to an exceptional Photographic Collection, charting the history of the motor industry from its very beginnings in 1896 to the present day. Now, you can find over 1000 new images which have recently been added to our extensive online photographic library at www.motorgraphs.com. 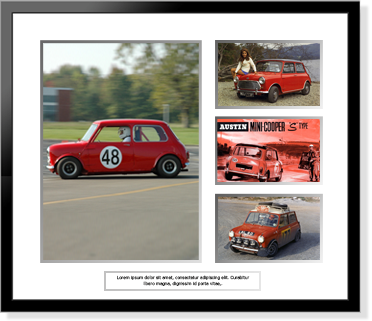 Available as a framed print, canvas or collage, these photos make an ideal Christmas gift for those who love British motoring. You can choose from a wide variety of British marques, from the sporting heritage of Austin Healey, Triumph, and MG to the nostalgia of British classics such as Rover, Land Rover, Austin, Morris, Riley and Wolseley. There are also attractive advertising posters, and colourful scenic pictures from the 1950s to the 1980s, just the thing for that difficult-to-buy-for dad or grandad. For more information about the Heritage Motor Centre please visit www.heritage-motor-centre.co.uk or call 01926 641188.